In fact, with so much excitement around the property market in Scotland, we’re delighted to announce the extension of our residential Second Charge mortgages into the country. This means you can offer a broader range of Second Charge mortgages to your existing intermediaries – and even build stronger (or entirely new) relationships with intermediaries in Scotland. About a year ago, we launched our Second Charge mortgage product range. With the benefit of our group-wide experience of the market – it has come a long way in that short space of time. By adopting the same flexible, tailored lending approach that- helped us become a leading Bridging Lender, we meet borrower’s varying needs and preferences every day. So, what's the update for you? What's exciting about the property market in scotland? Scotland is becoming a new property hotspot. Recent reports revealed the country is experiencing its highest year-on-year house price growth since April 2008, with the average house price in Scotland at £182,936 in February 2018. In some areas however, prices are healthily exceeding the £200,000 mark, with the City of Edinburgh coming in at £251,522, East Lothian at £219,393 and East Renfrewshire at £217,020. 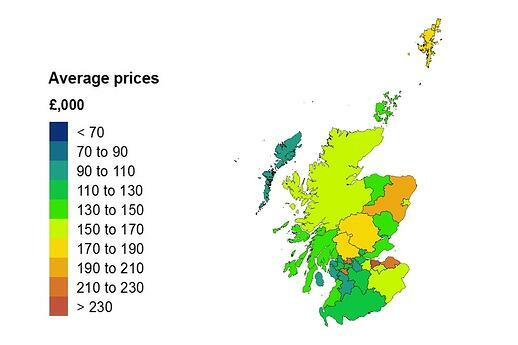 Take a look at the map below to see the range of average house prices across Scotland. Will the increase in equity lead to greater demand for Seconds for Scotland? For more information on our Second Charge mortgages click here, or if you’d like to talk to us about your access to our Second Charge mortgages, give us a call today on 020 8736 2297.